Cupcakes! These beehive domes of ganache, caramel and sprinkles are showing up on street corners and at brunches. They are even replacing the actual birthday cake! 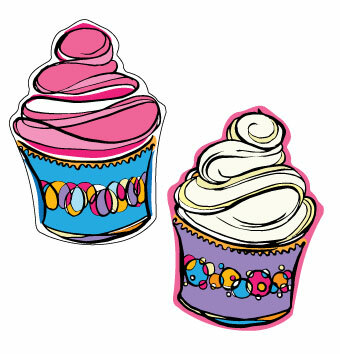 Add some cupcakes to your child's Happy Birthday greeting and everyone will be happy...with or withouth the sugar!